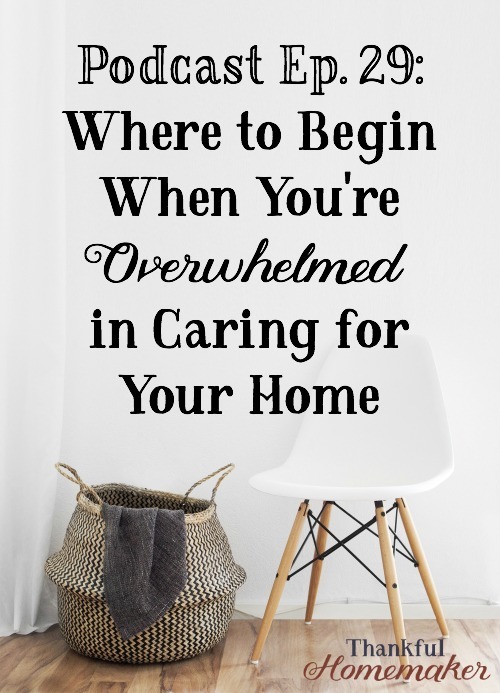 I’m sharing today from a post I wrote quite awhile back called Where to Begin When You're Overwhelmed, and it was dealing with our home keeping. It’s been a very controversial post and people either have a love or hate relationship with it. I’m hoping you all are in the love camp today because I’m not a fan of being in the hate camp. Before we begin, I want to lay out a statement here that I want you to remember as we walk through this. What I’m sharing is going to look different in every home. I don’t know all the battles or circumstances in your home from health and illness difficulties or various trials you’re dealing with. This may not be the season of your life for you to listen to a podcast on this topic right now. I’m never talking about perfection or Stepford wives or making an idol out of your homekeeping or whatever your thinking because as soon as you write a post or share a podcast about this topic of homekeeping that’s where the conversation tends to go. This isn’t about having a Martha Stewart lifestyle in your homemaking. It is about the heart of a homemaker who loves the Lord and desires to love and care for her family well because of the God she serves. It is out of a heart of love and thankfulness because she has been redeemed. Thank you, Jesus! This also does not mean you don’t do anything outside your home or saying you can’t work outside the home or have any employment. I work for my husband’s business and have ever since my kiddos were young. In my past – I’ve worked outside the home and inside the home and still work inside the home as a homemaker and for my husband’s business. This is not a SAHM vs. working mom podcast. This is for all Christian women in whatever season of life you’re in. Getting some foundational understanding of why we are called keepers of our homes will be an encouragement in itself not to be overwhelmed in your homekeeping, so my hope is to set your mind on things of the Lord and His ways today. Can you find a mentor? Prayerfully seek out an older woman who loves the Lord, her husband, and children and manages her home well to help you one-to-one. It may be your mom or someone from your church. Pray and ask the Lord to help you to find this relationship and reach out to someone – don’t be afraid to ask for help. -After showering squeegee the walls down and tidy the shower supplies. -Make sure all towels are hung in their proper place. -Give the toilet a final swish and grab some toilet paper, squirt with window cleaner and wipe the seat and sides down – flush the paper. You can use a paper towel if you prefer but a few sheets of toilet paper does the trick. -Put items you use away and your clothes in the hamper or put away. -After you’ve given it a quick clean, put out some fresh towels or at least a fresh hand towel. -Doing this quick daily tidy makes deep cleaning a breeze! I promise! No task is exempt from the holy call of doing “whatever” for the glory of God. Jesus makes your “whatever” worthwhile. The unfiltered, blurry moments of life are often the most beautiful ones. His fingerprints are all over life. We just need eyes to see Him at work within us and all around us. I am sitting in a messy office and bedroom that should already be cleaned and found you on the internet. I love this post! I work 4-10 hour days and have a mental block about coming home and cooking, cleaning, etc. Your comment about the fact that we have a job given to us by the Lord regardless of whether we are working inside the home or outside, pricked my heart but also created a little spark inside! So, as I was listening, I started pulling things off of my desk and have been putting them in little piles. I saved your site to my Pinterest page (Angie’s Corner), and KNOW others will be blessed by it as much as I am! I’m excited to listen to your other podcasts also. Thank you so much for following God’s plans for you; you are truly a blessing to this woman’s lost love of a clean home. Blessings to you!!! Angela, I love this – thank you for sharing with me. Going to check out your Pinterest page. 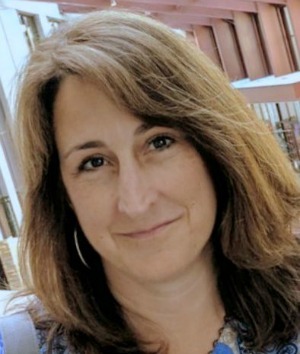 Angela – I can’t find your page and I’d love to so send me a link when you get a moment.